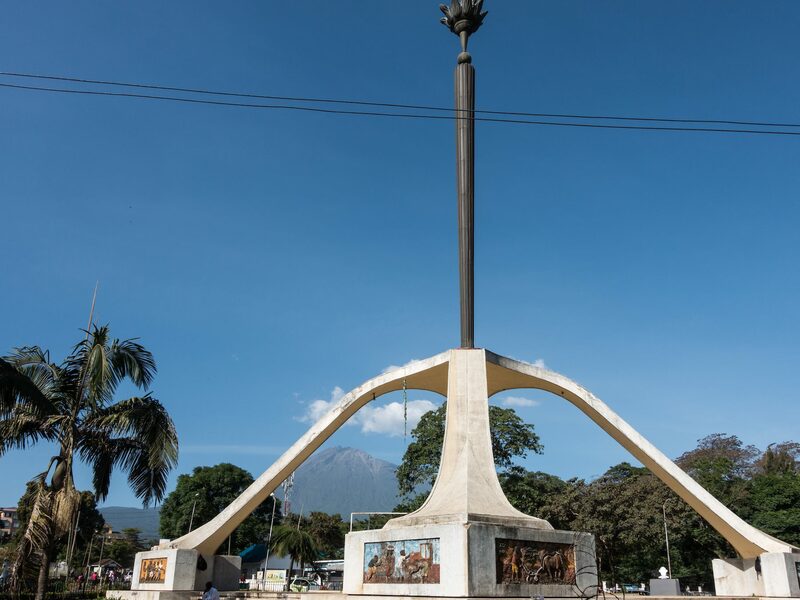 If a safari or a climb of Kilimanjaro in northern Tanzania is in your plans, then you will be spending some time in Arusha and/or Moshi, the two gateway towns which serve as the centers of the many local agencies which will organize your adventure and help you make it a reality. Perhaps, like me, you will fly directly into the region from Europe, landing at Kilimanjaro International Airport located between the two towns. Others will approach overland from Nairobi, Kenya or from Dar es Salaam. 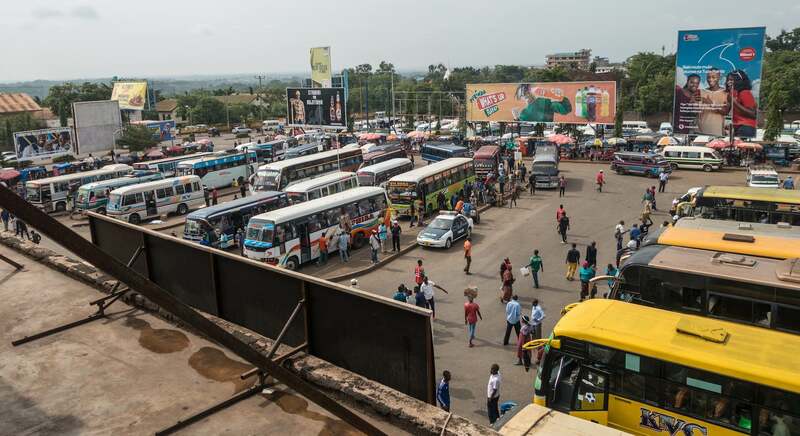 What you will find are two functioning urban centers which must be among the most prosperous in Tanzania, thanks to the massive infusion of tourist dollars and the jobs they create. The streets are free of trash and litter and many of them are paved; the sewage systems work, there is all-day electricity, drivers in vehicles stop at pedestrian crossings – I did not find the pandemonium and pollution and the smell of raw sewage in the air that characterize the Indian and Nepalese towns I have walked through recently. 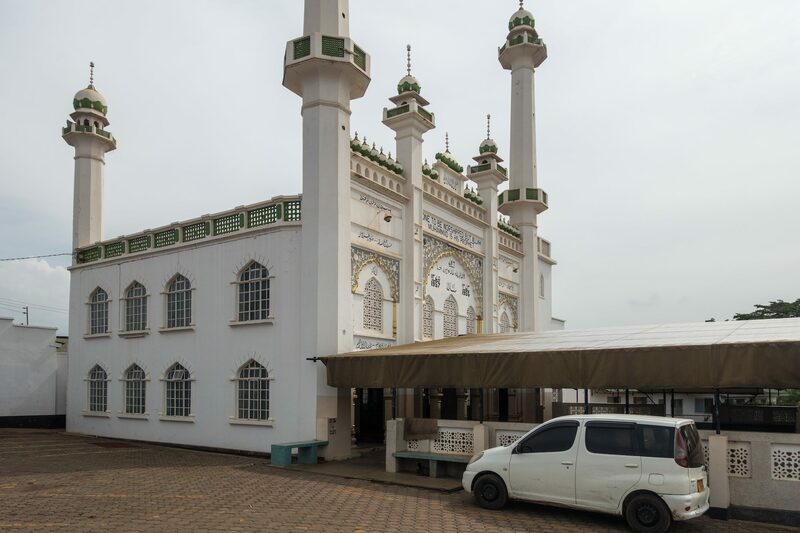 So – what is there to do in Arusha and Moshi? 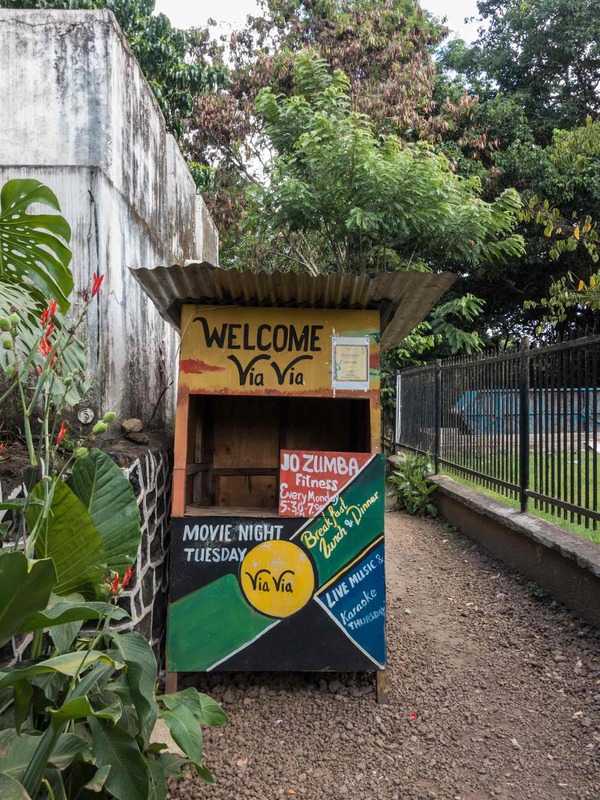 Should you set aside a few days to explore these urban centers before, in between, or after your Tanzanian adventures? The short answer – not really. While the towns work, they really do not offer the visitor much in the way of things to see or do. What follows is my attempt to give you some idea of the look and feel of the towns. 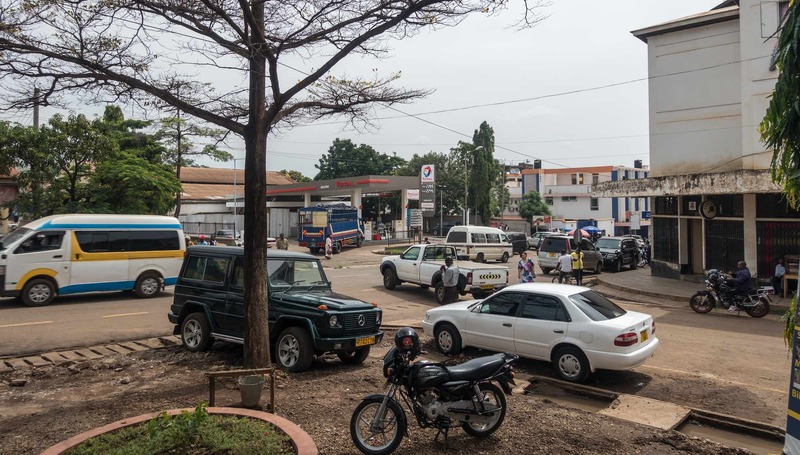 Moshi has a population of 200,000 and is located to the south of Kilimanjaro. 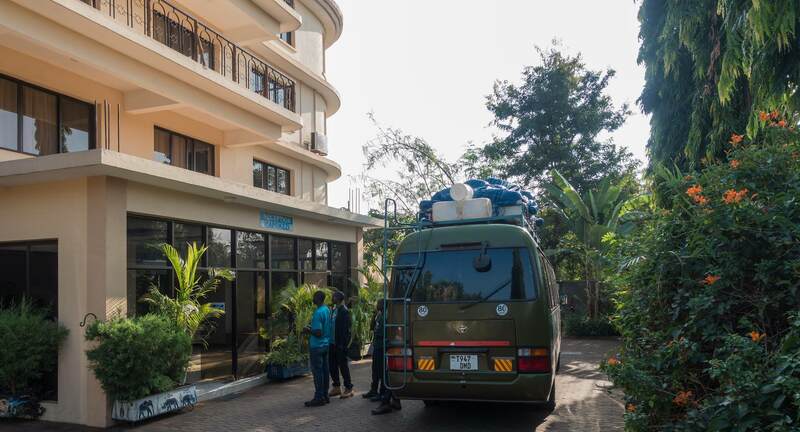 It is the town more closely connected to trekking/climbing agencies and if a climb to the top of Kilimanjaro is your focus, chances are your agency will use Moshi as the starting point with a night in a Moshi hotel before the trek and a night on your return from the mountain. 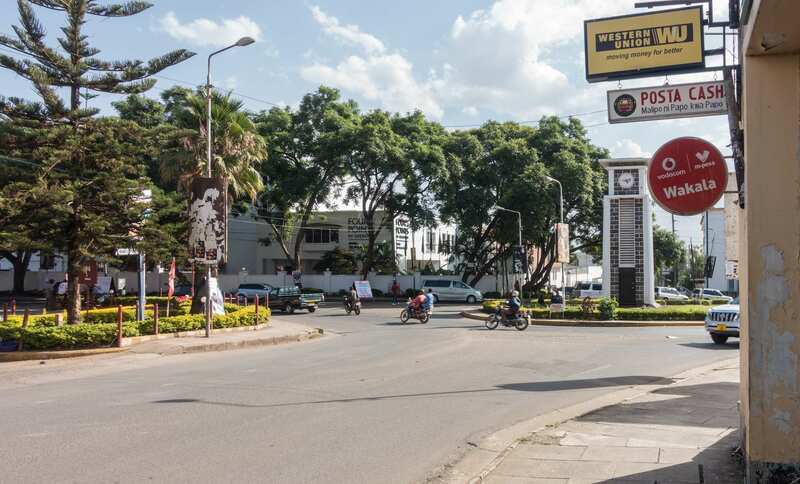 Both are very close to a Moshi landmark, the Clock Tower pictured below. 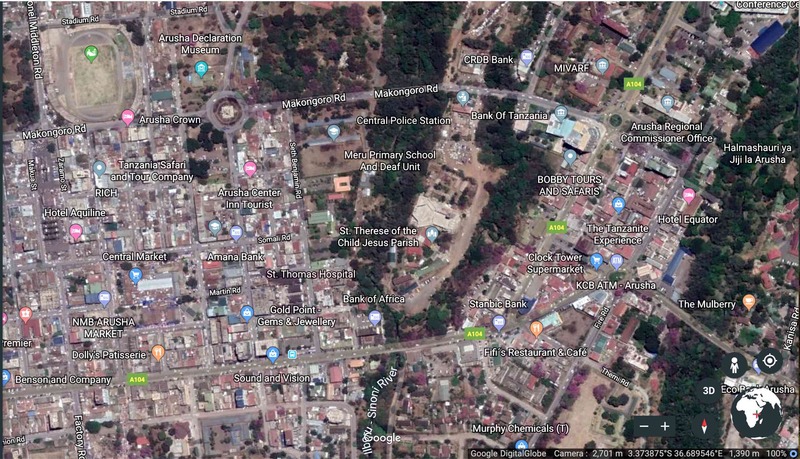 The satellite image below has the Parkview Inn on the left-hand side, the Bristol Cottages just down a block on Aga Khan Road, the Clock Tower at the top of Mawenzi Road, as well as the town’s major bus station. Uhuru Park sits on the south side of Aga Khan Road and it gives the hotel its name. In the photo below you can see the Inn from a view inside the park itself. I would find that very few of the rooms actually have a view of the park, being oriented to the interior courtyard and swimming pool. The gated property has a twenty-four sentry in charge of opening the gate for vehicles and people on foot. No worries about safety or security here! 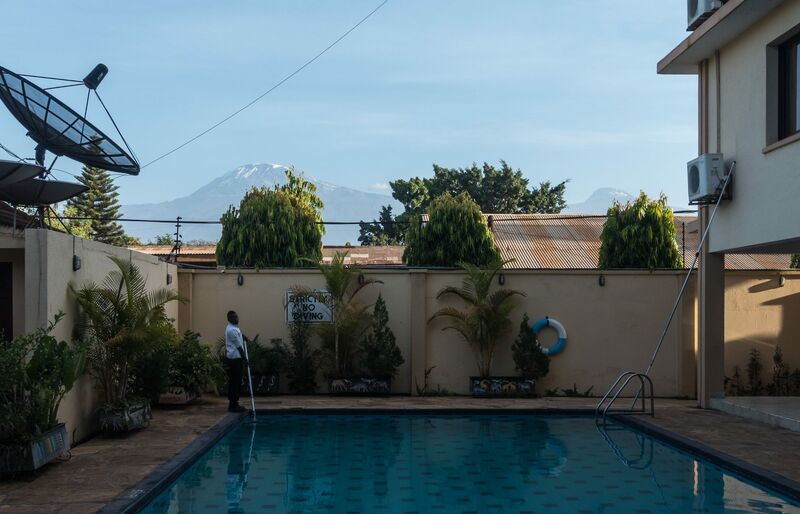 As a place to get ready for your Kili climb, it even gives you a view of your objective as you sit in the shallow end of the pool and face north to the volcano! Just down Aga Khan Road is the Bristol Cottages, featuring four actual cottages along one side of the property, as well as a multi-storeyed L-shaped building enclosing two other sides. 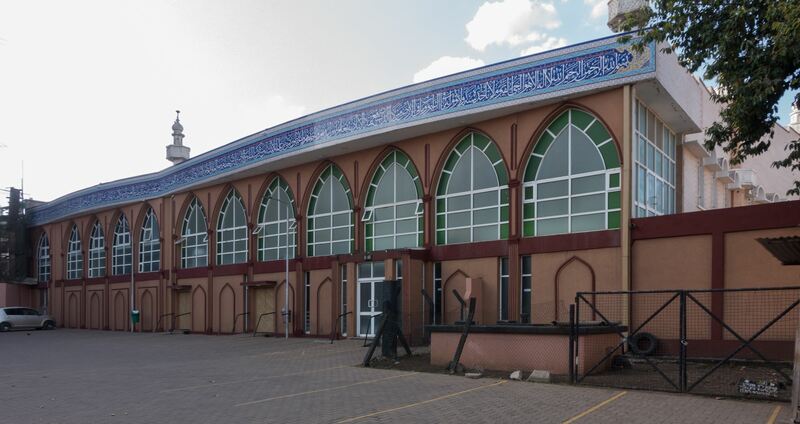 Even though it is fairly close to the bus station area and to the mosque with its loudspeaker regularly announcing calls to prayer, the grounds exude a stillness and tranquillity which drew me to the restaurant on more than one occasion. Near the two downtown hotels is the bus station area. 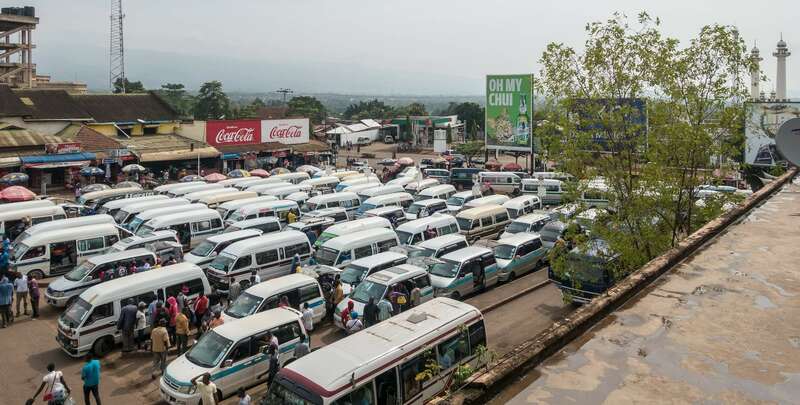 It is actually made up of two halves – the north parking lot is for the dalla dallas, the mini-bus share taxis which get their name for the cheapness of the ride, dalla being a corruption of “dollar”. On the other side of a shopping mall which separates the two parking areas is the larger bus station pictured below. Unlike the dalla dallas, these buses have regular departure times. They also represent a safer ride than the often overcrowded minibuses. Across from the bus area is one of the town’s mosques. Moshi is apparently 80% Christian though there I did see a Hindu temple just down the street from the mosque, as well as a Sikh Gurdwara. Step outside your gated hotel and head for the street and you will be approached by touts keen on guiding you to a certain shop or selling you some item they have in their bag – a postcard, a painting, or handiwork of some sort that they had personally made. It can get a bit annoying just walking around and dealing with a succession of these local business entrepreneurs. My solution after my first morning was to hire one of them as a guide around town. His name was Michael, a well-spoken 30-year-old knowledgeable about the town. He was out of work and scrambling to make money for his wife and four-year-old. [I believed his story, though a skeptic would tell me it was just a part of the sales pitch.] We spent two hours one morning and another two the next walking around Moshi checking out Michael’s Moshi highlights! One place he took me too was the shopping center between the two bus parking lots. I would never have gone in there by myself and framed the shots that you can see above. I also would not have found my way to the old train station. 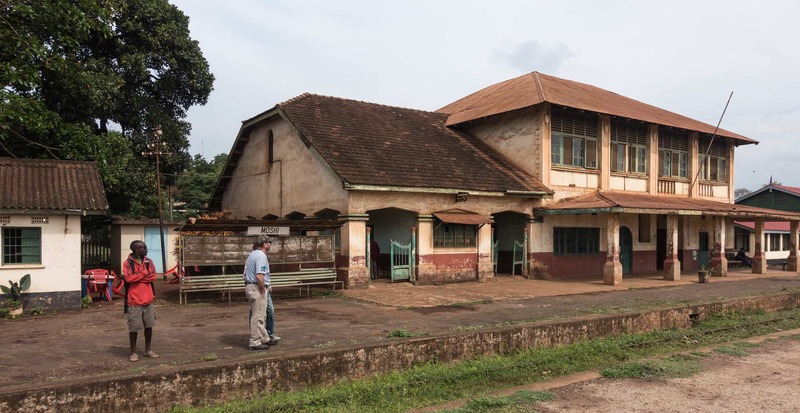 Built by the Germans around the year 1900, it has been closed since the early 1990s when rail service ended. Now there is talk that the Tanzanian government wants to revive the rail line from Tanga on the coast all the way to Arusha. Maybe the Chinese will provide the necessary funds! 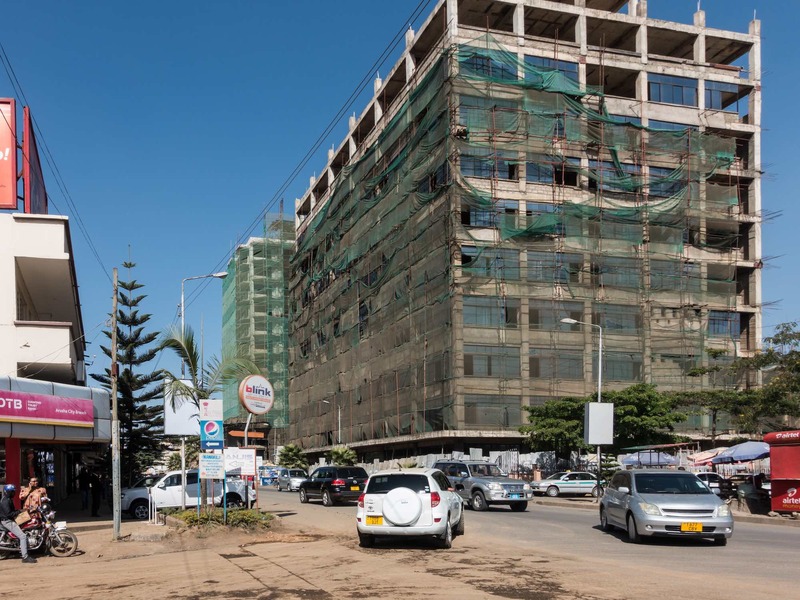 A fe blocks south on Mawenzi Road is the commercial district with shops, restaurants, and a number of budget hotels. The Indo-Italiano Restaurant gets good reviews and clearly geared to the tourist crowd. Pizza and coffee were what I ordered on an afternoon visit. 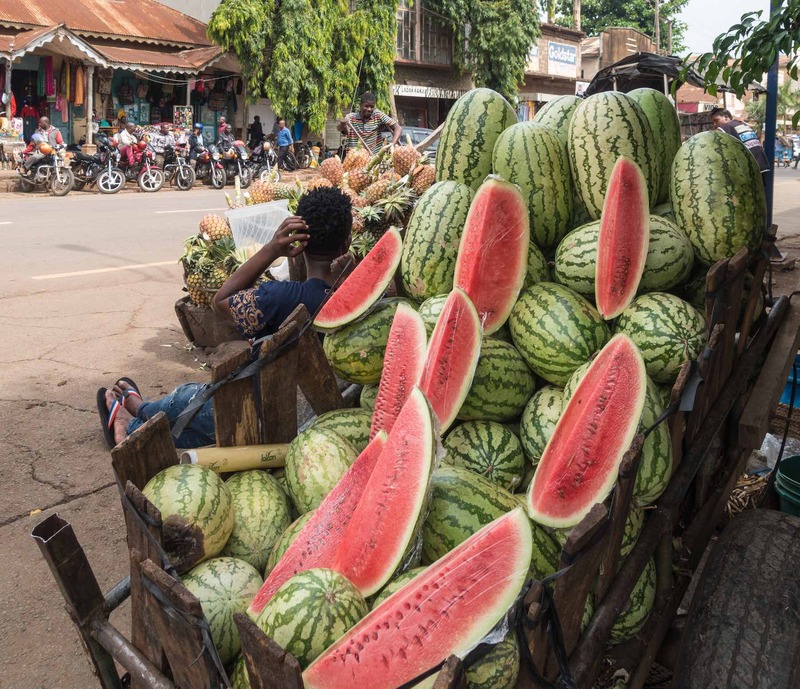 On the other side of Mawenzi is the town’s market district. On our second morning, Michael took me and one of the other members of my Kilimanjaro trekking group through the covered market area and the nearby streets. 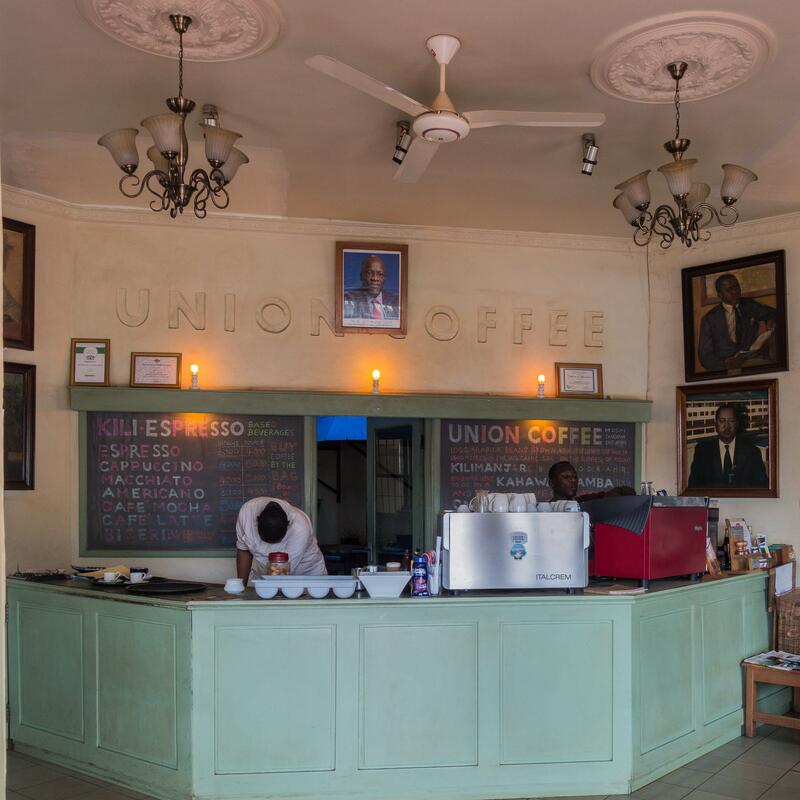 We also stopped for a coffee at the Union Café, one of the many coffeehouse choices in Moshi. We never did get to the really posh Moshi district, with the odd name “Shantytown”. It is located in the NW corner of town as shown on the map at the start of this post. Michael did tell us that if he were to wander into the district by himself he would be stopped and hassled by the security force and told to get out. 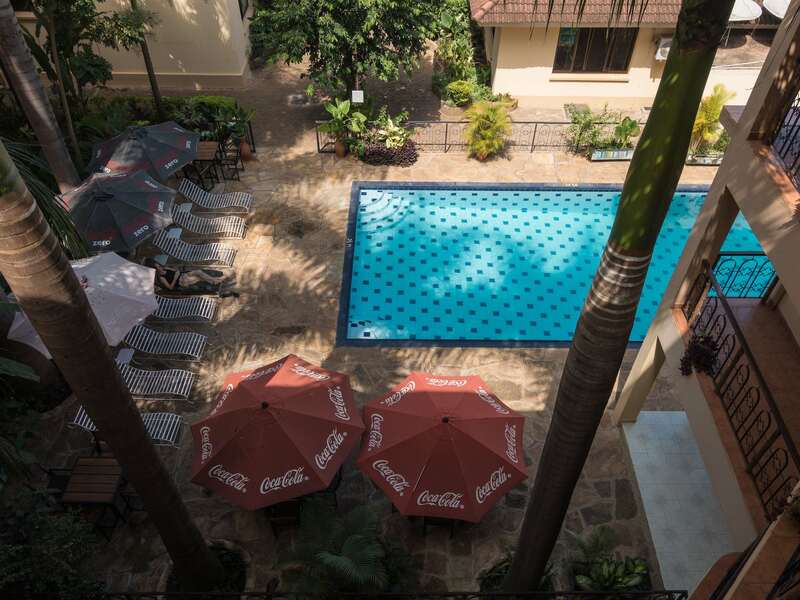 Shantytown has a few of the more upscale hotels and restaurants, as well as the safari/trekking agencies which have set up their offices there. 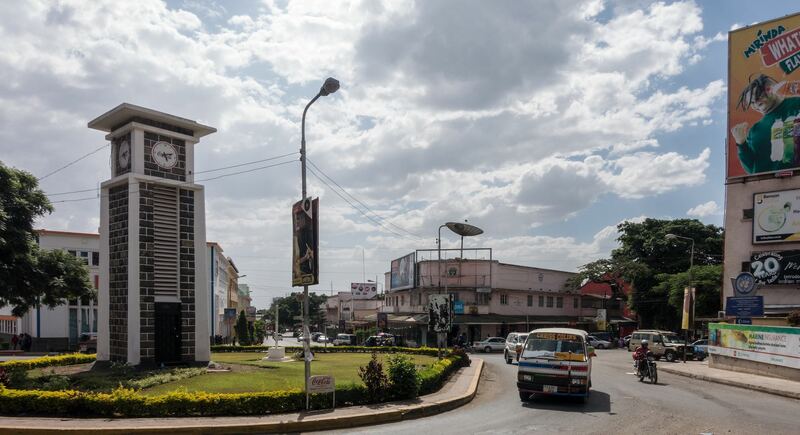 All in all, Moshi is a perfectly fine town for a tourist using it as the base for a climb of Kilimanjaro. It has decent hotels and restaurants and money exchange bureaus, all the things that a traveller would expect. WiFi at the Parkview Inn was intermittent; at some restaurants, it was much faster. A negative would be dealing with one tout after another on the street which makes a simple stroll around town an impossibility. If Moshi is the start/end point for Kilimanjaro climbs, then Arusha is definitely the safari center of northern Tanzania. At 420,000 it is twice the size of Moshi. 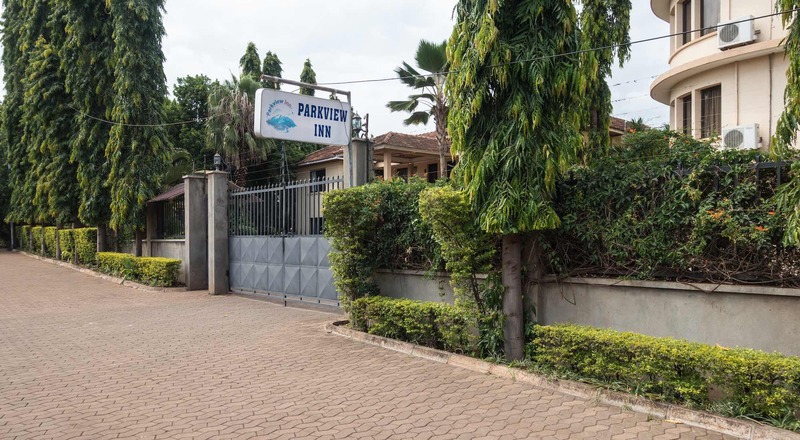 Its location some 80 kilometers to the west of Moshi puts it two hours closer to the main parks which make up the safari circuit in this part of the country. To no surprise its tour agencies also handle Kilimanjaro climbs so your Kilimanjaro package may well include a couple of days at an Arusha-area hotel. 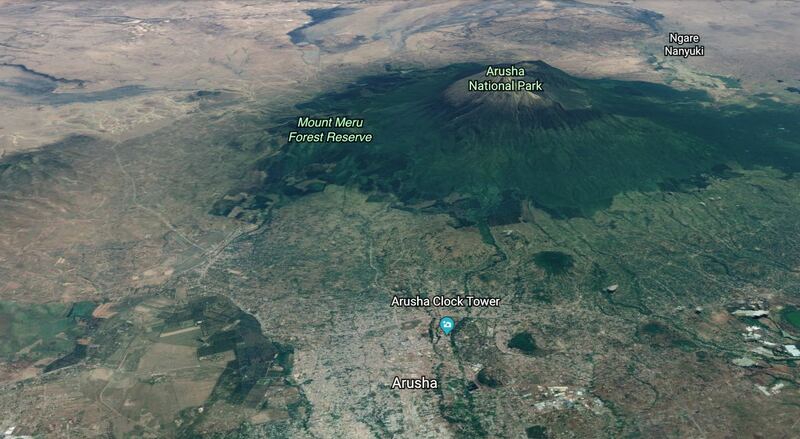 Arusha also has its own mountain, Mount Meru, which is the centerpiece of Arusha National Park. 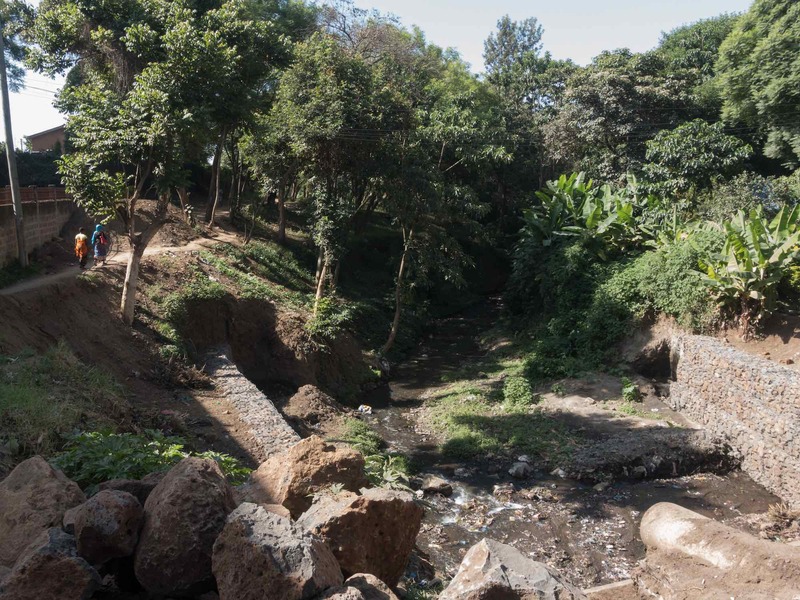 I only spent two nights in Arusha, just enough time to arrange a last-minute two-day safari to a couple of the nearby parks and conservation areas. While there is a bit more to do in Arusha than in Moshi, my safari choice was the right one! What follows are a few photos that will give you an idea of the city and its overall look. My three-star hotel, the Arusha Crown, faced the city’s stadium. On the satellite image above it is located on the top left. It is a few streets north of the city’s main street, Sokoine Road, and I walked through the market area just south of the hotel a few times to get to it. Sokoine runs across from left to right on the bottom third of the satellite image above. At the east end, it (like Moshi) has its own clock tower. Are they a legacy of colonialism and the Euro attempt to get locals to shape their days by the dictates of the clock? I was particularly interested in the Naaz Hotel thanks to my optometrist back in Toronto. He had grown up in Arusha and remembered the owner of the establishment. In fact, during my brief stay in Arusha, I dropped in twice to speak with him and relay greetings from Toronto but he seems to be a very busy guy! Just east of the Naaz Hotel is the clock tower. That is as far east as I got in my rambles around town. 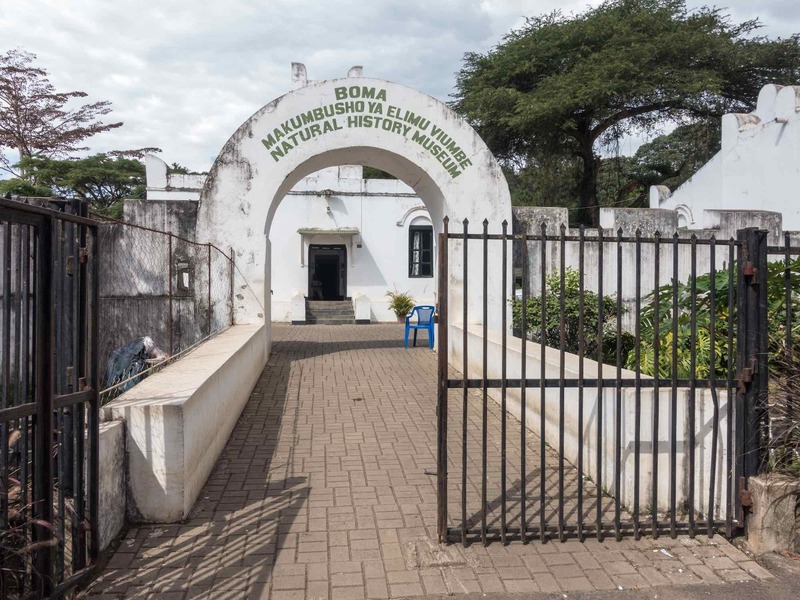 From there I walked up Boma Road to the Boma, a fort built by the Germans over 100 years ago but now a museum. Given the so-so reviews, I gave the museum a pass and headed to the Via Via Restaurant around the back but it was a Sunday and the place was closed. Back down Boma Road I headed, past the five-star Palace Hotel to Africafé for a vegetarian bite to eat. I can’t say I got much of a feel for the politics of Tanzania in either Moshi or Arusha. People expressed general approval for their President’s anti-corruption campaign. They seemed less concerned about the shutting down of dissenting voices in the press and in their national legislature. I did take a photo of this bit of graffiti below but I have no idea what it is saying. Marufuku is the president’s name. Kufanya means “do” and biashara means “business”. Let me know in the comment section below if you can figure out the message! 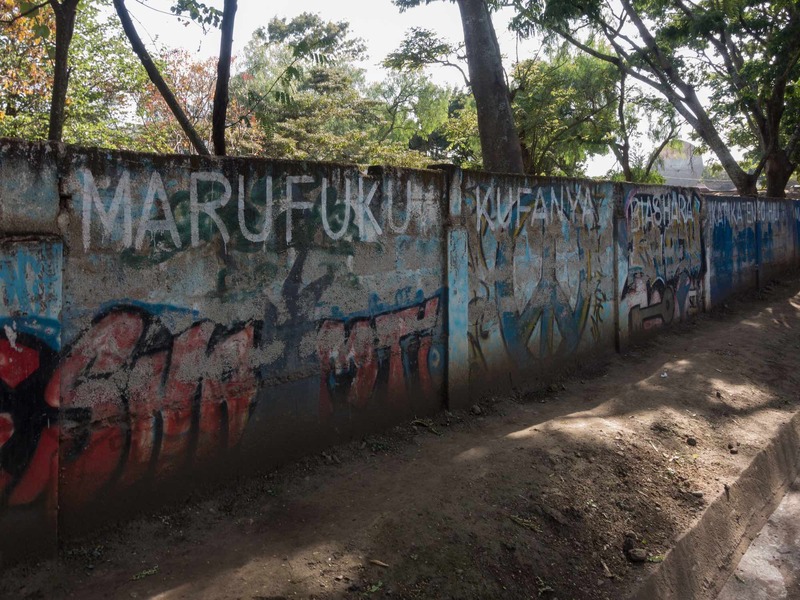 some graffiti on a wall Makongoro Road – an anti-Magufuli statement? Arusha serves as the host city for meetings of the East African Community. The weekend I was there coincided with one such meeting. The only evidence I saw was a VIP vehicle being escorted by a few police cars through heavy traffic. 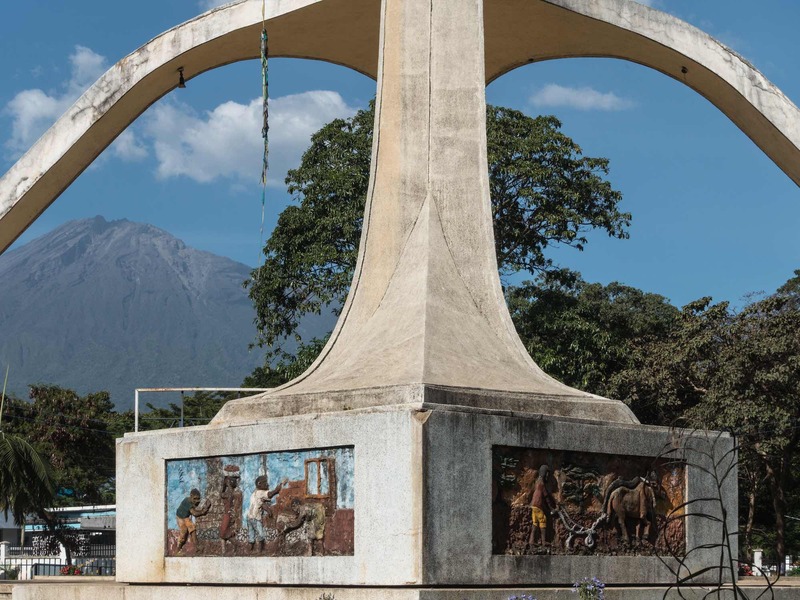 Arusha is also the city associated with Julius Nyerere’s 1967 Arusha Declaration, Tanzania’s embrace of socialism with an African face. A key concept was that of ‘Ujamaa’ or brotherhood. While 95% of Tanzania’s population belongs to the Bantu language family, it is still divided into 100+ different tribal groups. It makes governing a complicated proposition for countries like Tanzania or Uganda where “one person/one vote” often takes second place to “my tribe/my clan”. 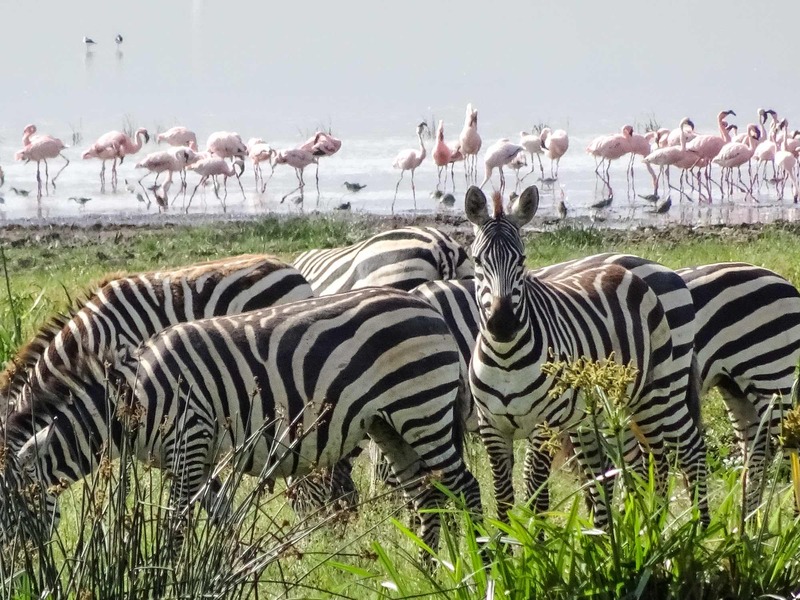 As I noted at the start of this post, Arusha is a perfectly fine place to spend a couple of days – one before and one after your safari or trek. Just don’t plan on spending more time there when you could be visiting one of the nearby National parks or conservation areas. This entry was posted in Africa, Easy Travelling. Bookmark the permalink.